The 1969 Saab 96 V4 “Rally” I bought a few years back (is it that long already…?) is advancing. 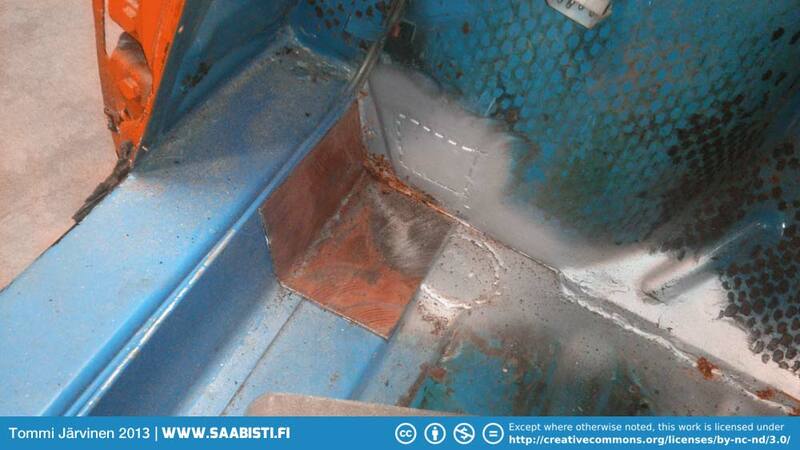 The corrosion repairs are underway again. 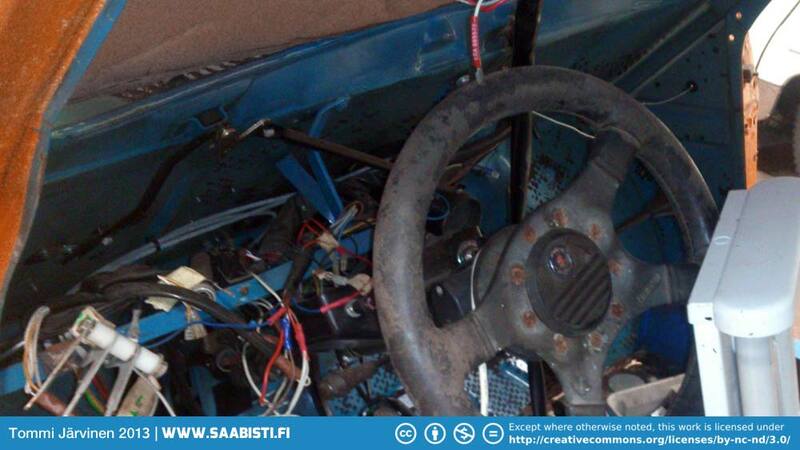 The car is in bad shape and many of the original pieces are missing – like the original engine and gearbox for example. I have a spare engine, a 1.7 litre crankshaft, UK type crossflow intake and carburetors, as well as a “folk-race” gearbox (with a short 2nd and 4th). 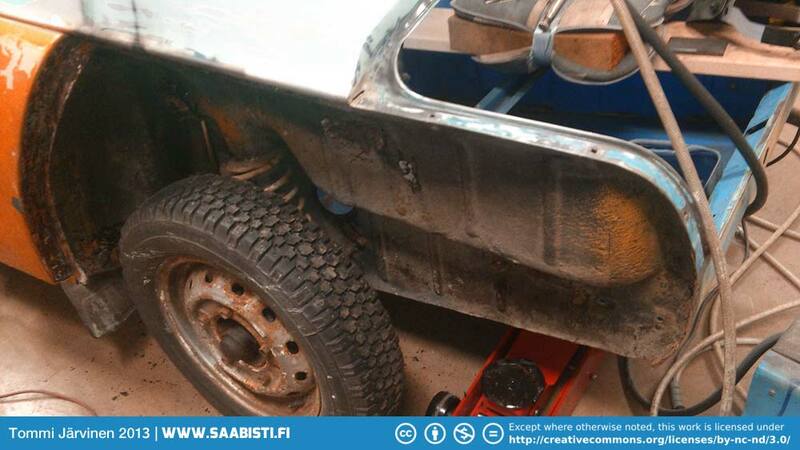 A lot of corrosion repairs needed to make the body safe again. 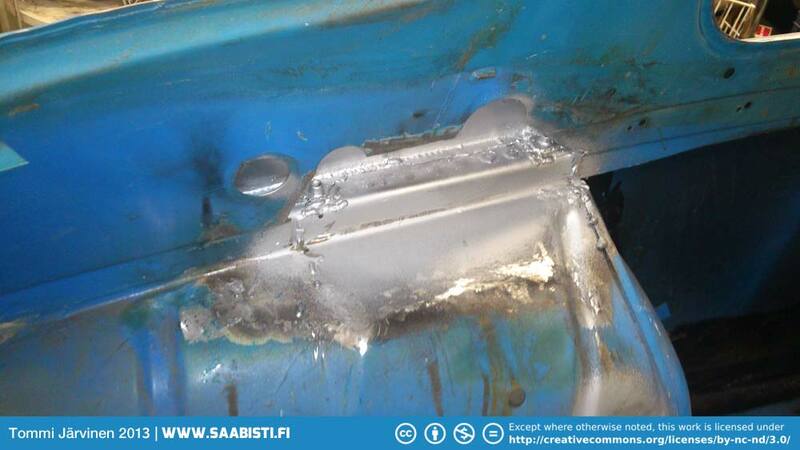 Strengthening the roll cage mounting points. 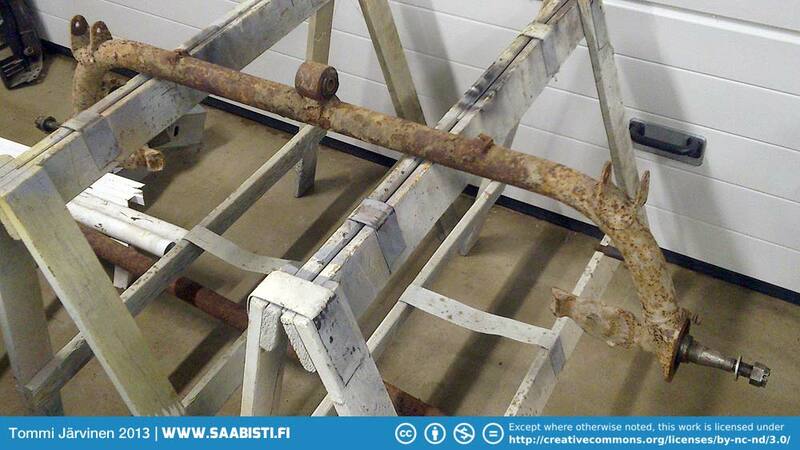 Rear axle will be replaced with the stronger Saab 95 axle.